Open-source creeps into the network from below, but no Red Hat analogues in sight. So what about the network? Why isn’t there an open-source alternative there? Obviously, the incumbents in most fields of enterprise technology are formidable enough, but networking hopefuls have to contend with a bona-fide giant of the realm in the form of Cisco – which sells between 65% and 70% of the world’s enterprise switches, 80% of the enterprise routers, and 18% of the security appliances – still good for tops in its category, according to IDC. More than that, however, they’re actually pleasing their customers, according to 451 Research analyst Peter Christy. “If you talk to Cisco customers, rather than viewing them as a predatory, monopolistic company they would like to get away from, they view them as the best tech vendor they deal with in terms of helping the customer succeed,” he said. Companies have to compete with Cisco to do a better job providing a working network, which isn’t easy to do. (Not that it’s stopped some companies from trying – Brocade bought open-source networking software maker Vyatta in 2012 with that end in mind.) And that’s not to say that companies that, like Cisco, depend on branded hardware are going to have it all their own way in perpetuity. [Network management] is a freaking hard problem. It’s just a lot of things to try to cover, and the market moves. Neela Jacques is the executive director of the Open Daylight project, which is a collaborative group that works to create open-source networking software. He argues that some pricey proprietary hardware isn’t worth it. All too often, Jacques said, networking hardware is made by a no-name ODM in China, programmed with a specific vendor’s network operating system, and marked up by a factor of five to 10. “People have been looking at that and saying ‘wait a second – if we could just create an open-source version of that network operating system, then someone could get the exact same SKU that they’re putting into their environment,’” he added. Christy noted that three of the four biggest clouds out there – Amazon, Facebook, and Google, with Microsoft the odd company out – build their own networking boxes. Even hardware makers like Riverbed say that commodity hardware is the wave of the future. “Why should they buy the same thing from Cisco if they can build what they want, somewhat tweaked, by themselves, with the same outside manufacturers?” he asked. Even so, CA Technologies CTO John Michelsen said, attempts to create a broad-based performance management framework in an open-source manner, like OpenNMS, haven’t been terribly successful because the issues faced are simply very difficult. “It’s a freaking hard problem. It’s just a lot of things to try to cover, and the market moves," he said. The well-known aphorism of UNIX philosophy says to “write programs that do one thing and do it well” – a problematic stance for broad-based network management and performance optimization systems, which are, almost by definition, heavily multi-functional. Michelsen said that his company’s application performance management product is designed to monitor eight separate aspects of the network. “It’s very hard to bring an integrated set of very deep-science things in several different areas. Each of these different types of monitoring are their own science project,” he said. Despite the philosophical and logistical problems, open-source technology is still a major part of the network – it’s just in there at a very low level, according to 451’s Christy. Big companies that buy a service from smaller ones impose tough contractual terms around code escrow – meaning that the vendor will have to provide a copy of their offering’s source code for legal safe-keeping, so that the bigger firm will be able to continue to function if the smaller one goes out of business. But it also means that open source tends to get swallowed up by big companies in the network space, one way or another. Key early adopters of open-source networking technology have had so much in-house technological expertise that it becomes difficult to offer them a paid service offering – they can simply do that themselves. “The biggest users always self-support – it’s not a commercial opportunity,” said Christy. But, obviously, not every company has Facebook or Google’s battalions of elite developers. It’s because of this that the hands-off, managed service option remains popular. 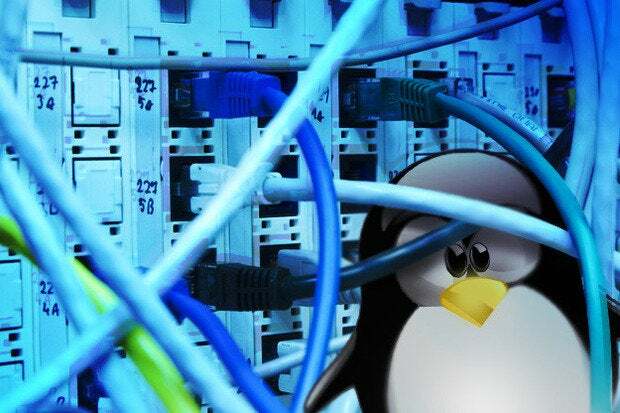 “In the case of networking, for most customers, there’s a greater motivation to let the vendor sit in the middle and integrate patches and be responsible for the operation of the network as a whole, than it is for, say, the typical use of Linux,” Christy said. Jacques argues that open-source’s low-level presence on the network is strong, and could eventually diversify to the point at which smaller customers are more attracted to it. “Open-source is a key underpinning of network management technology, but absent a “core platform,” there’s little chance of open-source making it to the app layer.